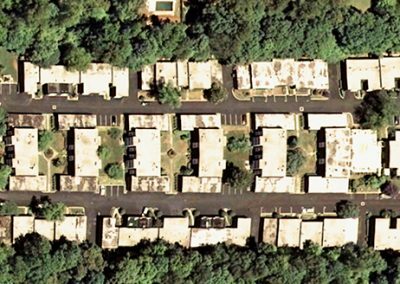 Raymond Engineering was retained to survey 16 buildings totaling approximately 71,000 square feet. 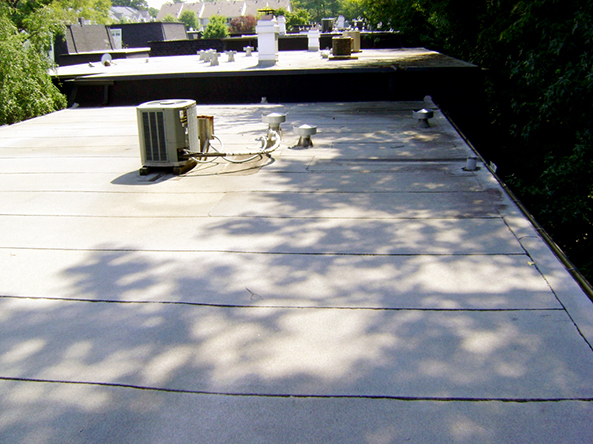 The existing roofs were 4-ply aluminum coated membrane systems over a plywood deck. 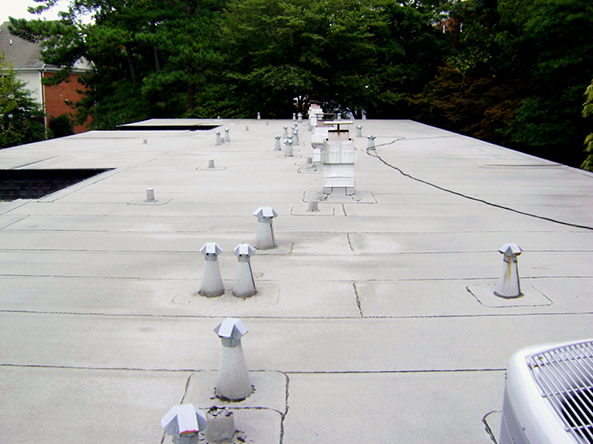 Several of the units had 2-ply modified bitumen membrane re-cover systems installed. 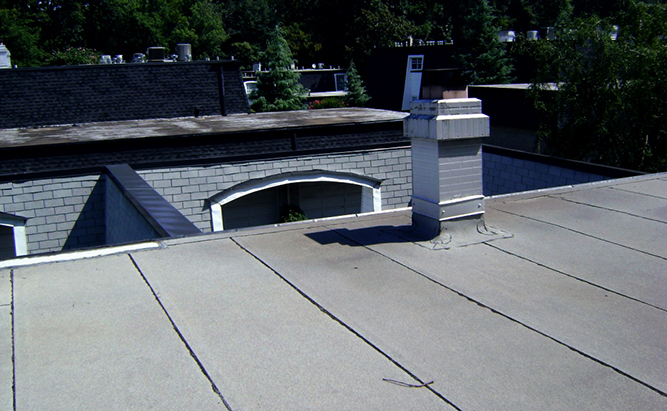 The survey provided an urgency ranking to help with phased roof replacement. We met with the Homeowners Association to present our findings. In our recommendation to the association board, we prioritized the work and created a 10 year plan and cost for repair/ replacement. We recommended one small roof area of 4,500 for replacement. Also presented was Raymond Engineering’s “quick survey” form with instruction on usage to economically update the findings on a yearly basis. 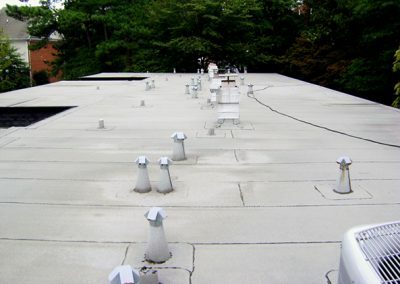 We created a design specification and provided construction management to include the advertisement for bit tabulation, contracts, pre-work, meetings, project closeout, and warranties for the re-roofing of one of the units. We specified a new TPO membrane roof system over tapered insulation, replaced damaged wood decking and insulation and installed new gutters and additional downspouts to help distribute water discharge on the property.